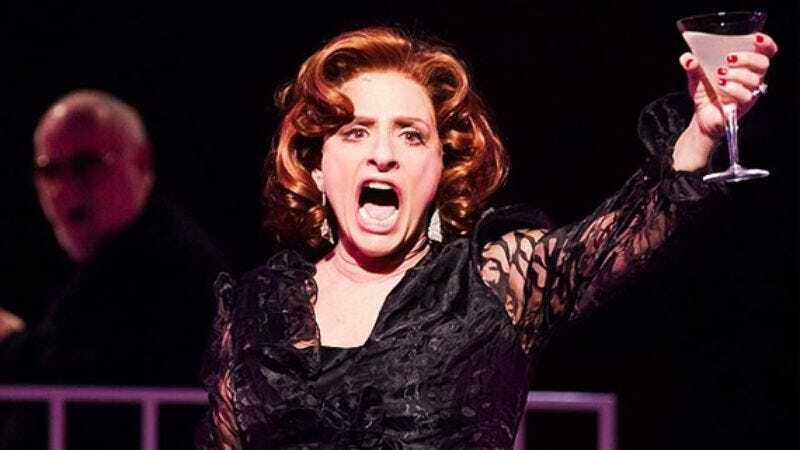 Broadway icon and two-time Tony winner Patti LuPone (Evita, Gypsy) has been making the TV rounds lately with memorable appearances on Girls and American Horror Story: Coven. According to Variety, she’ll continue that with a guest-starring role on Showtime’s Penny Dreadful, a horror show that pulls a variety of genre conventions and characters into its 19th-century setting. Details for LuPone’s “mysterious” character are being kept under wraps, but she’ll be of great importance to Eva Green’s character, Vanessa. Also joining the cast are Douglas Hodge (as a Scotland Yard investigator), Sarah Greene (as the powerful daughter of spiritualist Madame Kali), and Jonny Beauchamp (as a mysterious man with a “singular past”). Meanwhile, recurring actors Helen McCrory and Simon Russell Beale are being bumped up to series regulars for the show’s second season. With werewolves, vampires, Dorian Gray, Van Helsing and Dr. Frankenstein already in play, here’s hoping LuPone gets to try out her best take on The Phantom of the Opera when the show returns in 2015.